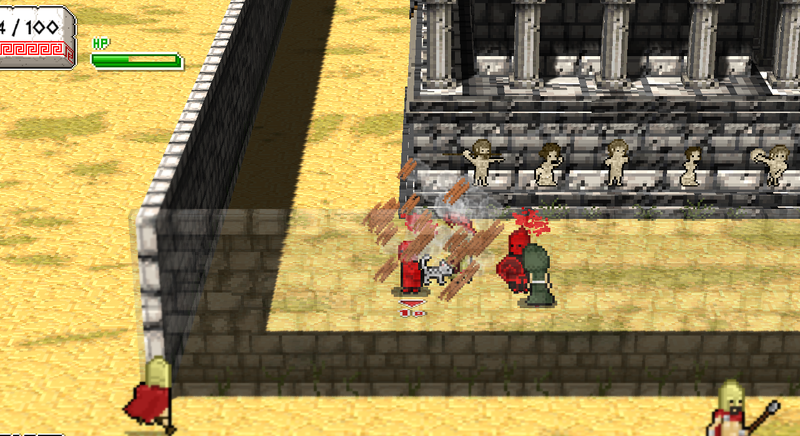 In the first level, the god Apollo fires arrows to the mob. Right now, we are using cats as placeholder sprites for them, so it looks as if Apollo is throwing cats at you, like that crazy cat lady from The Simpsons, which is hilarious. Unfortunately, that will have to change because evil Roque wants to use proper arrow sprites. But, no matter what, Apollo throwing cats at the player is still awesome.